Botanical name: Equisetum arvense L.
Plant height: Fertile stems: 2-12" Sterile stems: 2-24"
Foliage: May have sterile or fertile stems. The sterile stems grow after the fertile stems have withered. Sterile stems are joined with a set of whorled branches, and can have as many as 20 segments. Fertile stems are about half the height and more succulent. Misc. 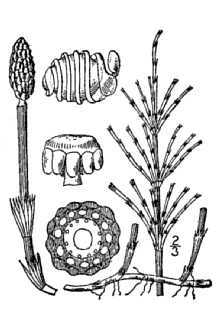 Cultural: Horsetail has been used medicinally, as well as a pewter and wood polish, perfumes, animal repellants, food flavorings, and as a dye. 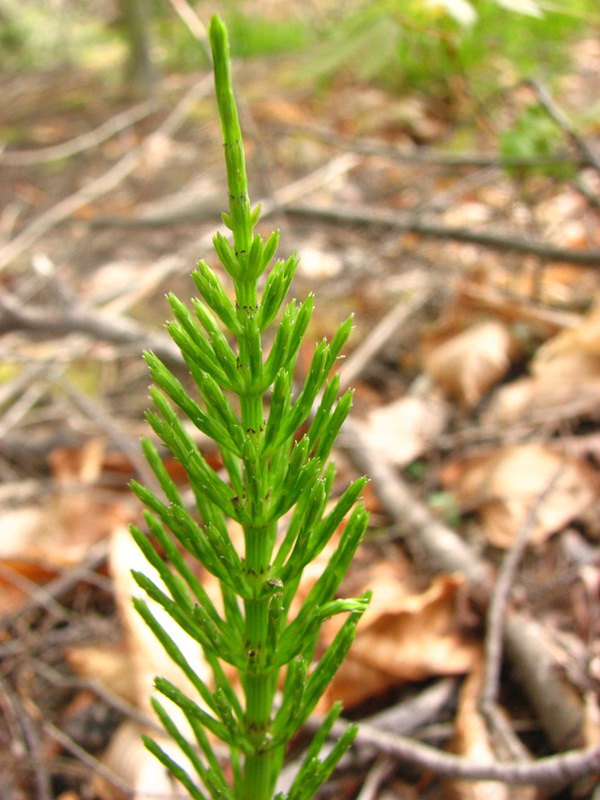 Silica can be extracted from horsetail and is used in the manufacture of diuretic products, etc. 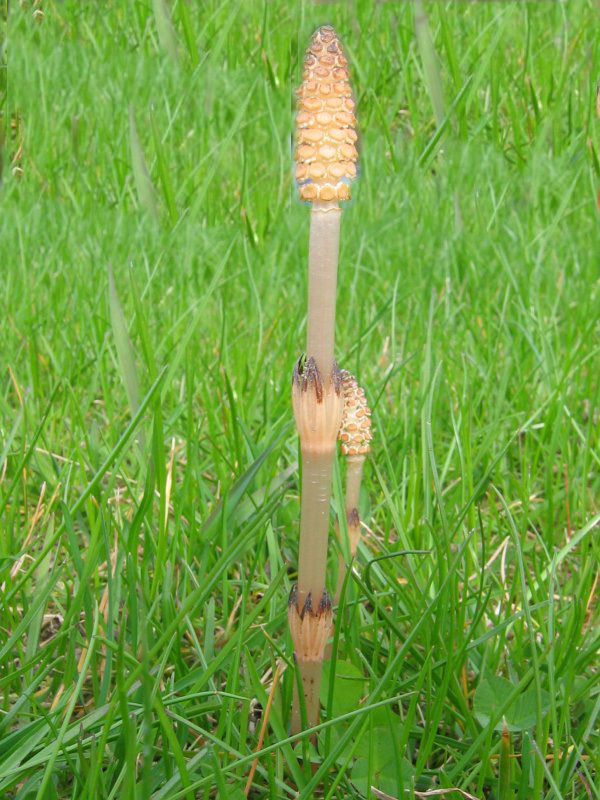 Equisetum = equus, "horse," seta, "bristle"; arvense = "field"
A primitive plant, well-adapted to fire. Reproduces by spores and rhizomes and tubers. Excessive amounts are toxic to livestock, though the tubers are eaten by wildlife. Odd fact: Can accumulate up to 4.5 ounces of gold per ton of fresh plant material and is sometimes used as an indicator of gold.